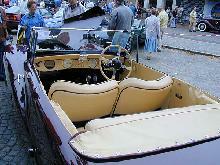 During the 1930's AC gained a good reputation for producing elegant, well made motor cars with sporting characters. 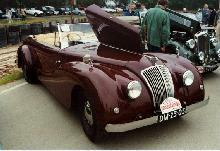 In 1947 AC launched its first post-war model, the 2 Litre. The new model came with a choice of traditionally constructed saloon or drophead coachwork, although the styling was modern in its design. 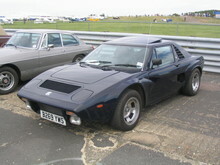 The mechanical underpinnings were of a straight forward, modern design and used a 1991cc straight six engine which gave reasonable power and performance. From 1949 a tourer version was also made available as an alternative to the Drophead Coupe style, a four door saloon became available in 1952. 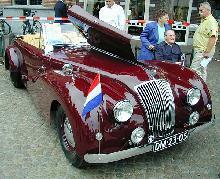 Production of the 2 Litre in its various guises lasted until 1958, by then nearly 1,300 cars had been built.